Our first night with the camper car were bumbling about inside attempting to set up the sleeping area when were heard a distinct rustling sound coming from amid the grasses outside. Soon these nocturnal noises became a source of alarm, with shining of flashlights to determine the source, but every time there was nothing to be seen. The situation was tense. Unknown beasts stalked us in the dark, and having committed to carry-on luggage we had no defense from our imminent predation. The sounds seemed you surround us on every side. Then I heard the rapid patter of tiny feet across the roof of the car. We had parked on top of a massive nest of mice. Throughout the night I continued to hear them running all over the car, seeming to sense the loaf of bread tucked into the driver’s seat, seeking to gain entrance for the purpose of unimaginable nibblage as we slept. At one point there was a definite exchange of fisticuffs taking place on the rear bumper, just inches from my head. For the trip from Queenstown to Milford Sound we picked up a charming Danish hitchhiker named Helle who was able to enlighten us on the virtues of possum fur as well as providing other entertainment (and salami) during the awe-inspiring drive. Milford Sound itself proved to be a largely uninhabited launch point for cruises only accessible through a death-defying one-way tunnel. A bit later we found ourselves in Christchurch, coincidentally on the 4th anniversary of the tragic earthquake which so scarred that city. But the somber memorial service gave way to a triumphant tune from the band. It is clear that the city is fighting hard to reclaim what has been lost. Many shops (and even banks) have been reconstituted in shipping containers, which now serve the citizens of Chirstchurch the finest wares and services from within walls of corrugated steel. Back in the US I had been putting the finishing touches on final plans and frantic packing with a little time for some snowboarding (video thanks to Tim Ramsey). As I closed the final zipper of my backpack a profound sense of calm took hold. Things were now ready and the NEroute journey would begin. First stop: New Zealand. The NZ air is most striking to the senses; almost offensively so. It is so sweet, pure, and clear that even amid the jetwashed asphalt of Auckland airport, somehow the environment had endeavored that the most prominent aroma be fresh flowers. It was as if we were in a greenhouse nurturing the blossoms of paradise rather than nurturing the bounty of Chinese tourists on holiday to welcome the year of the sheep. 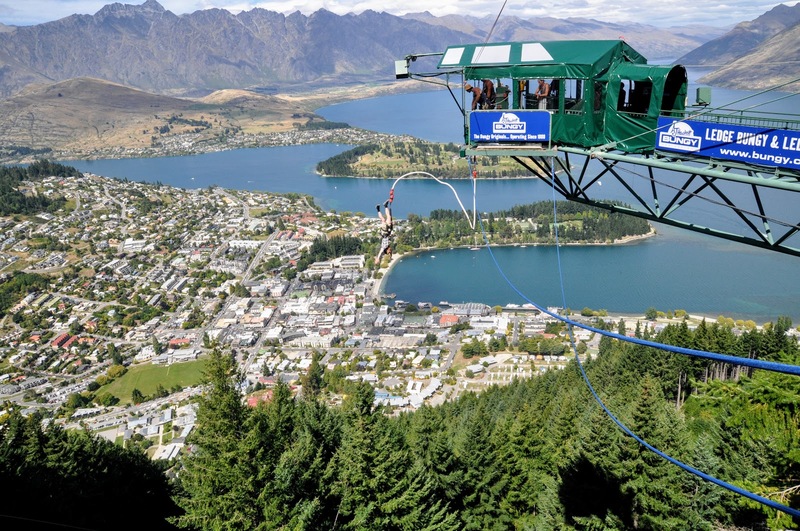 The final approach to Queenstown lent some stunning aerial views, but for here on until Mandalay we would be leaving air travel for the challenge of less lofty transport. Upon emerging from the cabin I was fully struck by that other quality of the air as the mountains loomed and rolled off into the distance of Lake Wakatipu, all resonating with vibrant colour through the crystaline atmosphere. It is a particular tragedy of the industrial revolution that has shrouded many of the planet's greatest views in haze. Once, Emperor Tiberius was able to gaze upon vast swaths of his empire from Napoli down the entirely of the Amalfi Coast from atop his cliffs in Capri. The same view is no longer possible for us commoners who are now permitted to amble Tiberius' Leap. The same forces that banished the dominion of empires have also veiled the majestic vistas of antiquity. Fortunately in New Zealand we can find preserved a slice of that majesty. We are here! Thanks to our amazing donors, as of touching down here we are at an estimated $7,200 in pledges to World Education and Doctors without Borders! Currently Nick (Doctors without Borders) is winning by $103. We're quite close, but I (World Education) will pull ahead yet. The flights themselves were actually not that bad, but anytime you need to take 3 legs to fly somewhere it's going to be less than a cake walk. Wait, now I'm thinking about cake. Do they have cake in New Zealand? Do they have something called cake but it will be different, like ordering chips in England? The important questions. Not that I'm even a huge fan of cake, it's just going to be so exciting discovering things like this while we travel. Side note: I actually had to look this up, the ending to that quote if you want to get fancy is "often go awry." Well that's the English paraphrasing of the original Scots "Gang aft agley." Impress your friends. I watched the first hobbit movie, dozed uncomfortably in and out for a while, then gave up and watched the second hobbit movie. I guess it worked out decently, though. It's 4 pm here now and if we stay up for just a few hours more we should be fine in the morning. Piece of cake. Oh no, not cake again. Easy as pie? I think I'm hungry. Time to try some local cuisine! Well with this tried and true method you won't have to worry about swarms of terrifying Australian killer insects making a nest in your hair. You won't have to wait hours to dry off after you fall into a river in Thailand. You can even forget to brush it for 6 days and nobody will notice! Watch and learn, my friends.